While High Sierra as a whole is not specifically to blame, the implementation of APFS is causing problems for a number of AutoCAD 2017 and Adobe Acrobat CC users —with users of the former having a new patch available, and the latter out of luck for now. Additionally, users need to be cautious when manipulating PDFs in both Preview and Adobe Acrobat Reader. The release version of AutoCAD, version 2017.0, is incompatible with High Sierra's APFS in every regard. However, a recent update with version number 2017.2 supports both HFS+ and APFS in case-insensitive format —and there is a new installer package available as well. By default, APFS is case-insensitive. According to Autodesk tech support, earlier versions, such as the 2015 version, are not designed for High Sierra, and no update plan appears to be available to make them compatible. 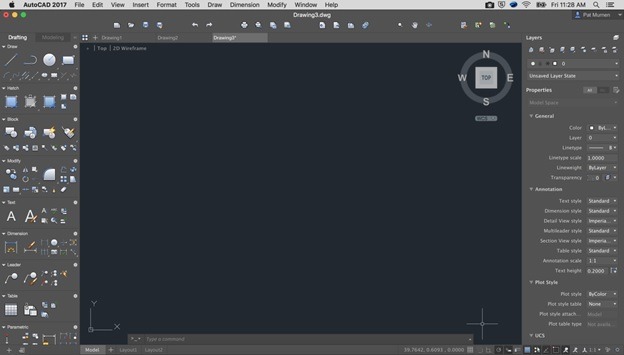 An update for AutoCAD 2016 to support APFS is forthcoming. Adobe Illustrator CC users are also having problems with case sensitive APFS drives during installation and uninstall procuedures. Additionally, all APFS users are subject to errors when launching the app, opening a file, creating a document, or licensing templates or other assets. There is no fix at present for Illustrator's issues with High Sierra's APFS. According to Adobe, a complete solution is in the works, but no timetable has been given. Other users are reporting rendering errors. These are related to partially incompatible GPUs, and GPU-assisted rendering can be disabled to rectify the problem. AppleInsider can also confirm that there are some oddities in user-fillable PDFs between Adobe Acrobat Reader, and Preview. A PDF form with pull-down options will not always retain the same data when migrated between the two apps. A PDF modified in Preview will display properly in Preview, but have altered menu selections in Adobe Acrobat Reader, and vice versa. Results vary when the generated PDF is handed to a Windows user. The same apps in Sierra do not manifest the same behavior, with the changes being saved and interpreted properly across the board. The work-around for the behavior is to modify and open the PDF in the same application. It is unclear what the root cause of the issue is, or if a patch will be issued —and by whom also remains up in the air.